As life-long unschoolers, neither of our children have ever attended school. Sure, they elected to take some courses offered in the community from time to time, but they have never been enrolled in school. The rare times we tried to wedge some sort of classroom in the home into our lives failed miserably, I'm happy to say. There were times, too, when it was appropriate to have conversations about school as an option for our children, and each time our kids decided it still wasn't the best choice for them and we've supported them in their decisions. 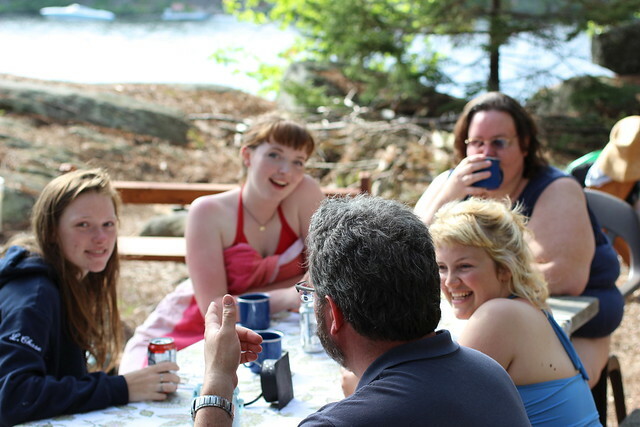 As they've grown and entered their teen years, we have had similar and numerous conversations about college-should they attend, how could they attend as unschoolers, is it worth going into debt (and maybe never getting out of debt for college), are there ways to make it affordable, what would they study, what would they do instead of college?-all good questions and not too dissimilar to the questions all young people grapple with when planning for their future as young adults. As parents, neither Alex or I expect or urge college, nor do we believe that college is the only path to successful adulthood, especially since we already consider our teens to be successful people. We are also cognizant of the immense societal pressures young people face and know that whether we agree with it or not, having a college degree can bestow certain privileges, be it social or economic. And so we've had endless discussions about college. And we've felt validated all the many occasions either of our teens has been complimented on their competency, skill, demeanor, and knowledge. That Olivia has been mistaken for a several-years-in academic too many times to count, tells us that knowledge and insight are free and available from many sources. We understand that intelligence and accomplishment is not doled out beyond wrought iron gates and brick walls for a price. 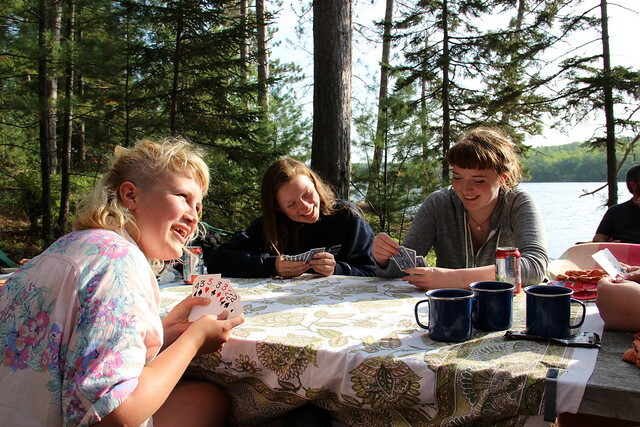 We've also had many discussions about creating a life without college, or traveling instead of college, or combining some of both and what those options might look like. 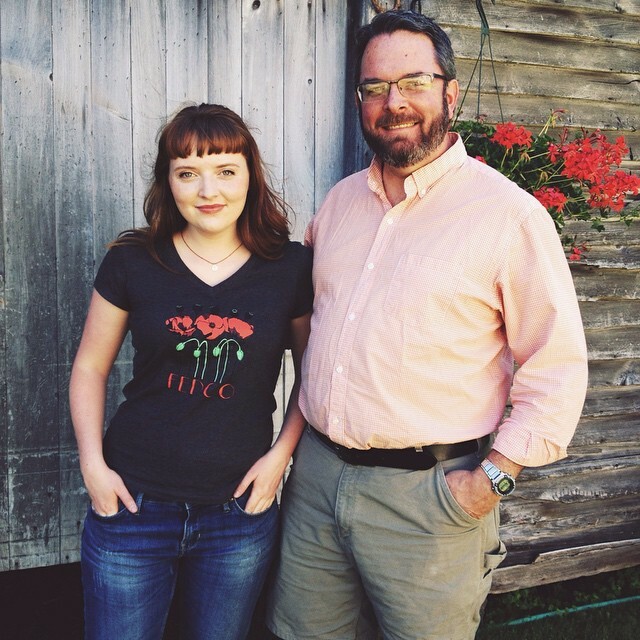 In April 2014, Olivia hopped on a bus that would take her to an event held on a small campus in down east Maine. 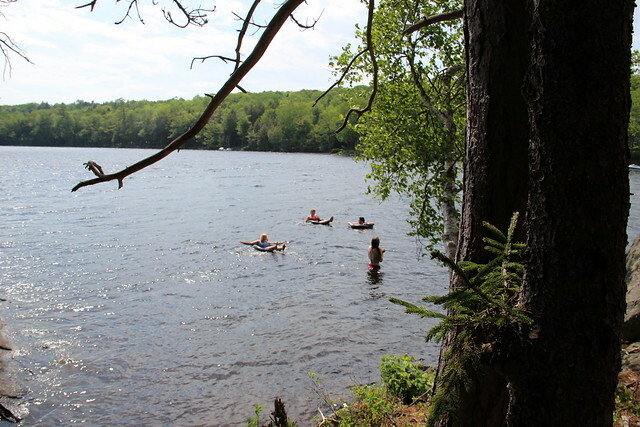 There, she found a lot to like-the small, close-knit community, activism, environmental commitment, and the stunning location. Over the next months, she found herself thinking about this place. By fall, she was weighing the pros and cons of maybe attending and finally, in December, because this college also matched her "heart values", as she calls them, she made the decision to apply. 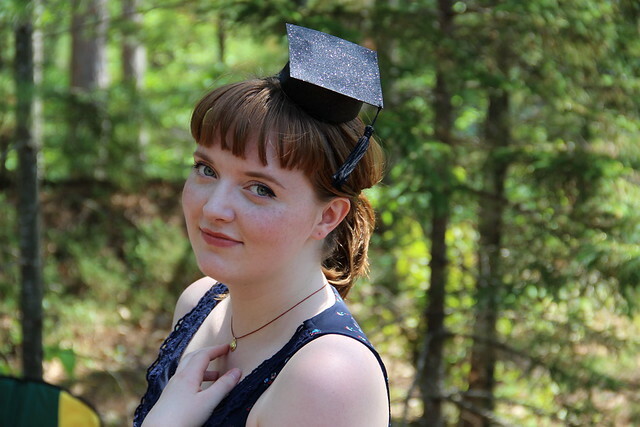 In January, while she crafted her essay and and asked for three letters of recommendation (which she received, with such joy and care), I spent a week writing up a curriculum vitae for her that covered the last four years, and it ended up being quite a nice academic and community resume for her. With her application submitted, she did what all prospective college kids do, and waited. In March, she got a call from the school and when she came downstairs to tell me, I burst into happy tears. And then came the mail. 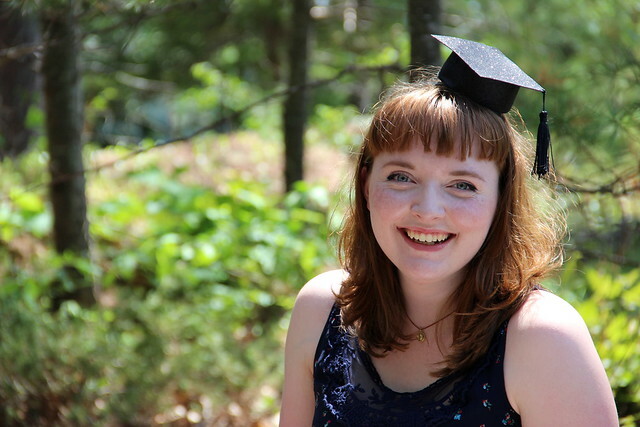 What's more, she was awarded the Presidential Scholarship and she was returning to UMM in mid-April for the same annual event, but this time as a prospective student. We're so proud of her! Olivia gave careful consideration to her needs and desires, her passions, her core values and made the best decision for her, and she made it all happen! She absolutely has our love and support and we trust that she will soak up every opportunity UMM offers her, and we know, too, that UMM is gaining a passionate, dedicated student. 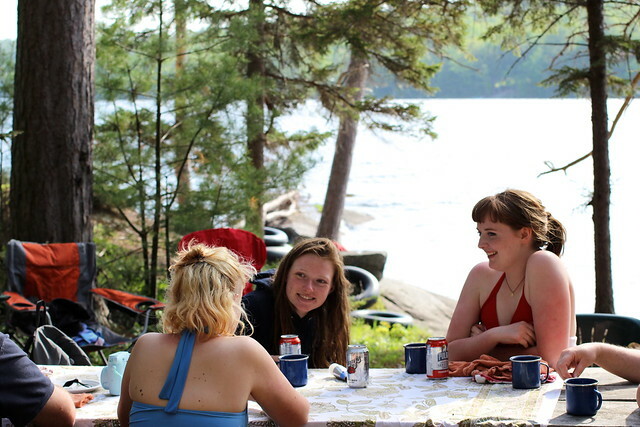 In May, Olivia officially completed eighteen years of unschooling and we celebrated with a graduation party with friends and family at the camp point. I wrote then that "some folks think it's pointless to "graduate" an unschooler since they are not in school and learning doesn't just end. To that I say that it is worth celebrating someone adhering to their path, to mark the transition from this life at home to new adventures, to congratulate them for trusting in themselves enough to know that school was not the place for them against all societal, cultural, and familial pressure. As for learning, of course it doesn't end, what a silly thing!" We lucked out with such a gorgeous day spent with family and friends. 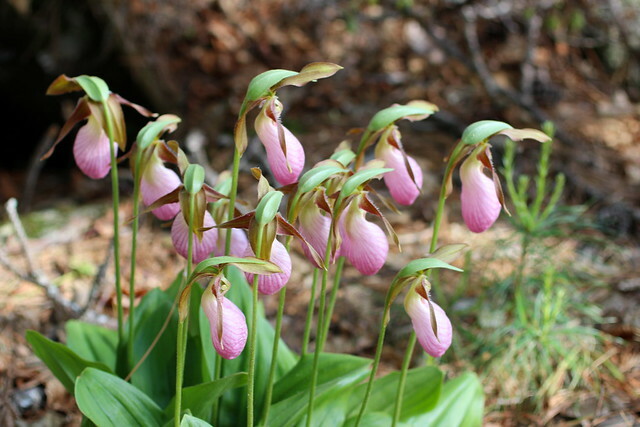 The camp point was covered in the delicate pink lady slipper blooms. 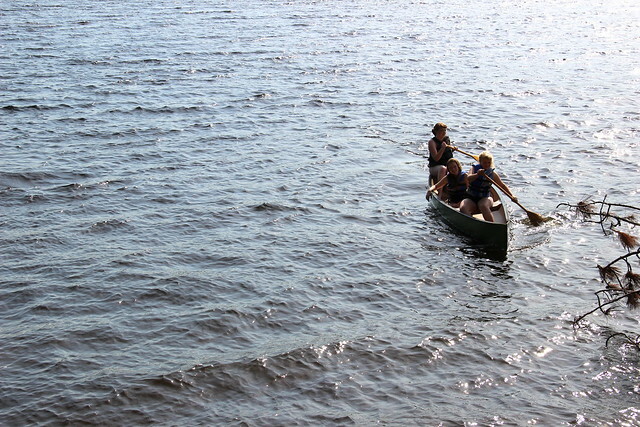 We all had our first swim, we took the canoe out, we laughed and told stories, played cards and roasted marshmallows. It was such a perfect way to honor Olivia's past and future journey. 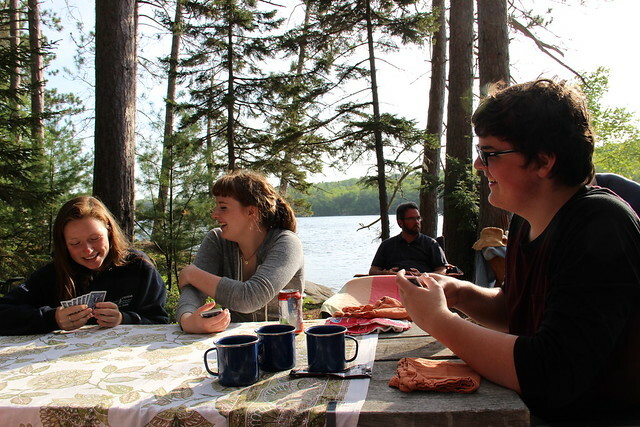 At the end of June, Olivia and Alex drove the three hours to Machias to spend the weekend at student orientation. There, Olivia became further acquainted with the small campus, the staff, other students and some of her future professors. She explored the art department where she will spend most of her time as an Interdisciplinary Fine Arts major. 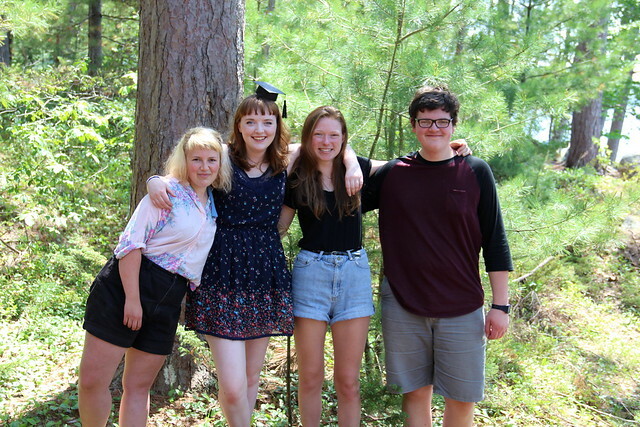 She also found time to track down the campus radio station and some of its student staff to chat them up about possible programing and she's looking forward to the possibility of having one or two shows in the fall. 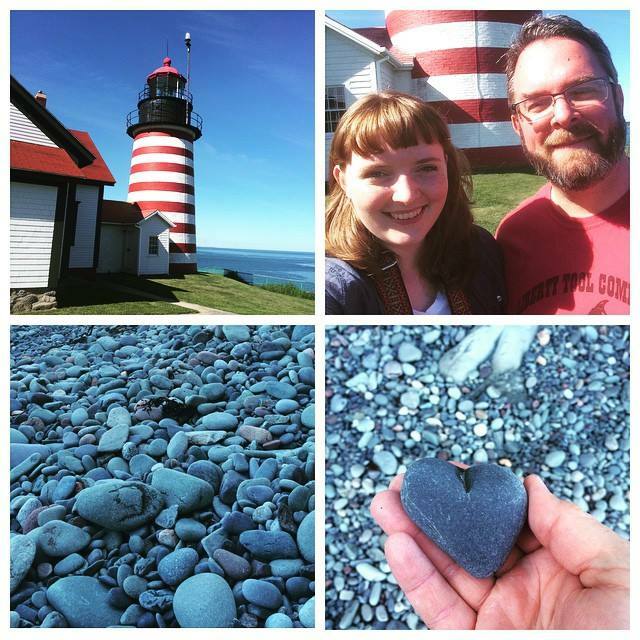 Olivia and Alex spent some time exploring the area before returning home and visited Lubec and West Quoddy Head Light, the easternmost point in the United States, as well. I think they had a good time together and I'm grateful for that. As for this summer, Olivia works 25 hours a week as a paid intern doing outreach and education. She's definitely learned the art of networking and keeping contacts with people who are engaged in community and social change and she seems to have a real knack for this type of organizational work. She must, because in addition to her paid work, she serves on two other boards plus is part of a planning committee. Whew! It will be interesting to see where this road might lead her. We're extremely proud of Olivia. She showed such commitment to her goals and though it might not look like the path so many other young people have taken, she's laid out her own course and has followed it. This is an exciting time for her and we're happy for her and we will continue to support her on this next part of her journey. Unschoolers can and do choose college and they can absolutely make it there their own way. College doesn't have to be a destination, but for some it may be a good fit. 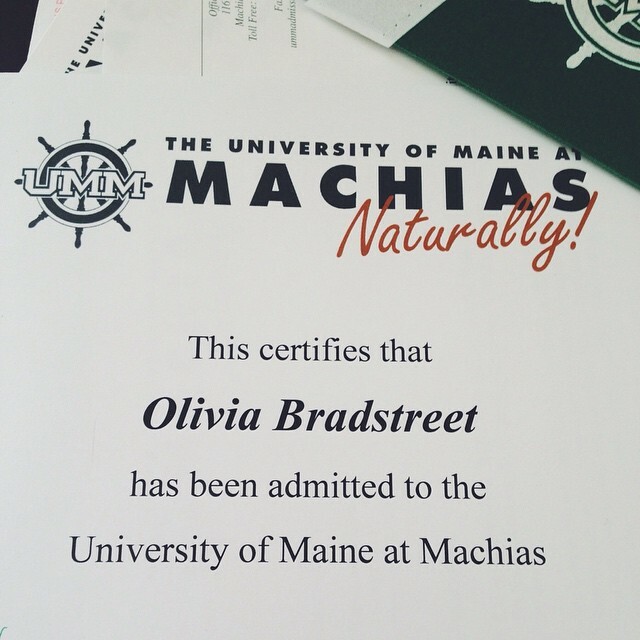 I have no doubt Olivia will shape her time at UMM into something meaningful and wonderful. Congratulations Olivia! I'm enjoyed reading about your journey over the years and look forward to hearing about the next phase! OMG I teared up reading that....you guys have done such a wonderful job parenting, it really shows (proof is in the pudding!) 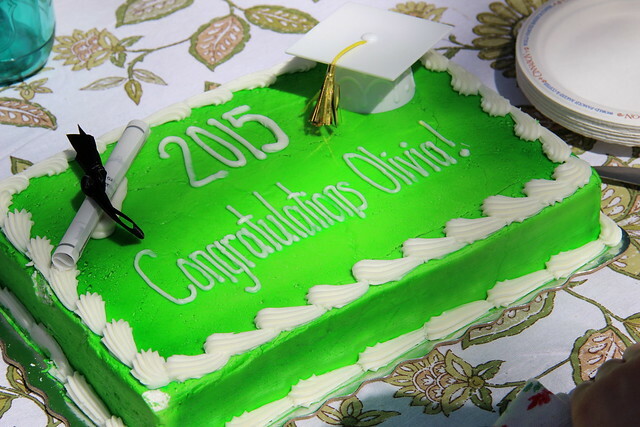 - CONGRATS OLIVIA...I look fwd to hearing about all her achievements! I love this blog post and I am so happy for Olivia! Congrats! I found your site years ago when I was googling how to bake bread . . . or something . . . or maybe it was back in the day when people used Flickr . 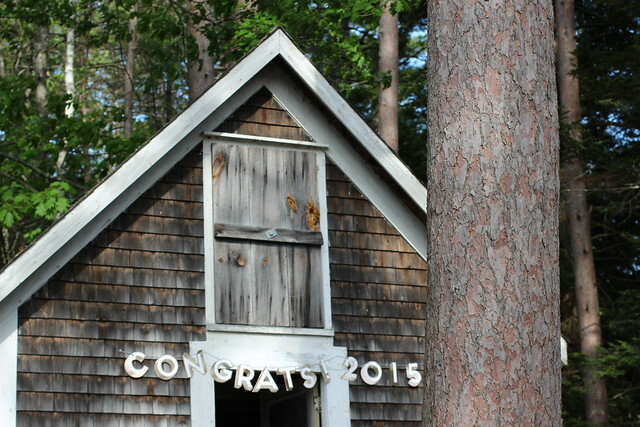 .. and have enjoyed watching your children grow, your photos, your writing. Looks like an exciting time ahead for her! Enjoy! I am catching up on some long overdue blog reading. I feel like I have watched your kids grow up before my eyes through this space. Congratulations to Olivia in this next leg of her journey. Hello! As a seventeen year old unschooler currently working on my portfolio + cv to apply to college this fall who stumbled upon your website, I just wanted to say thank you for posting this! Many people seem confused and skeptical about my ability to apply to college without a traditional high school educational experience, so it feels quite encouraging to read about independent learners like me. Have a great day!